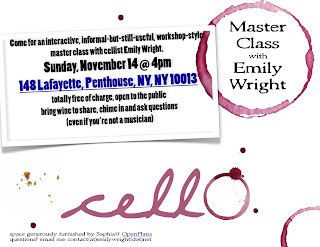 Free Master Class in New York! 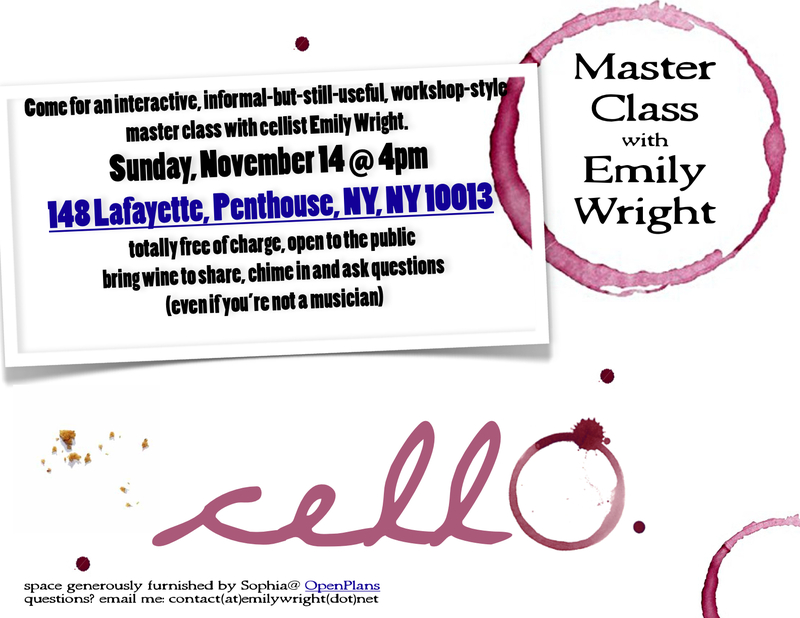 Hey New Yorkers (and other hardy Tri-Staters): I’m going to be giving a master class in SoHo on Sunday, November 14th. The flyer (click to enlarge and download) lists a 4:00 start time, but that may move an hour or two depending on who can be where, when. I thought the early slot might allow you to attend other concerts going on in the area afterward, and since this is also a wine-tacular event, any music you hear afterward will sound much, much better, especially if you’re going to be the one performing it. Spread the word, and don’t hesitate to shoot me an email at contact(at)emilywright(dot)net if you have any questions, suggestions &c.